In this project you’ll learn how use SNAP! (using the drag and drop blocks below) to create a game in which you have to save the Earth from space monsters. 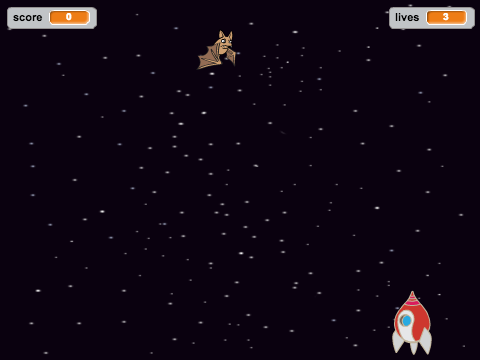 You will learn how to make a game, in which the player controls a spaceship that can fire lightning bolts at enemies. You will learn how to create clones of other sprites and use them as projectiles. Click through the instructions below and follow along to see what you need to do for your project. We are looking for the best coding to share district-wide so make sure to focus on your content and show your creative skills.